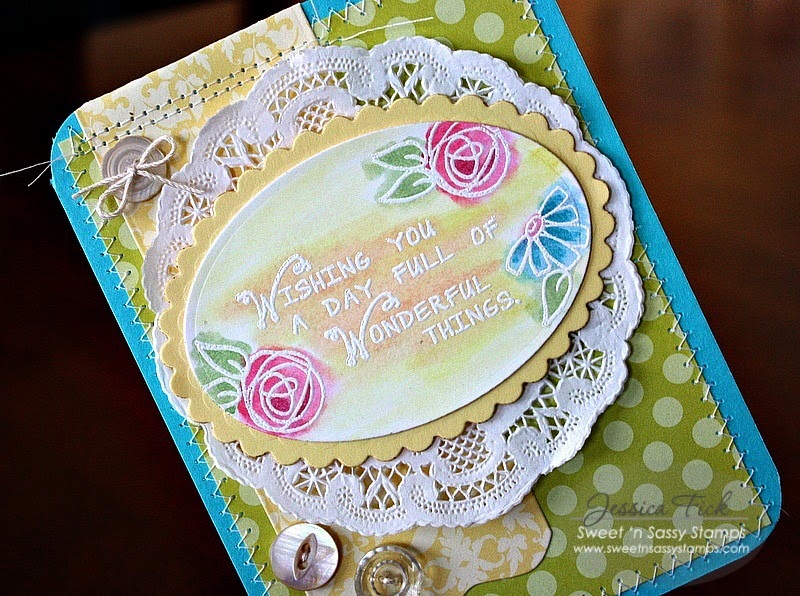 iEmbellish: Wishing you Sunshine & Flowers! Wishing you Sunshine & Flowers! 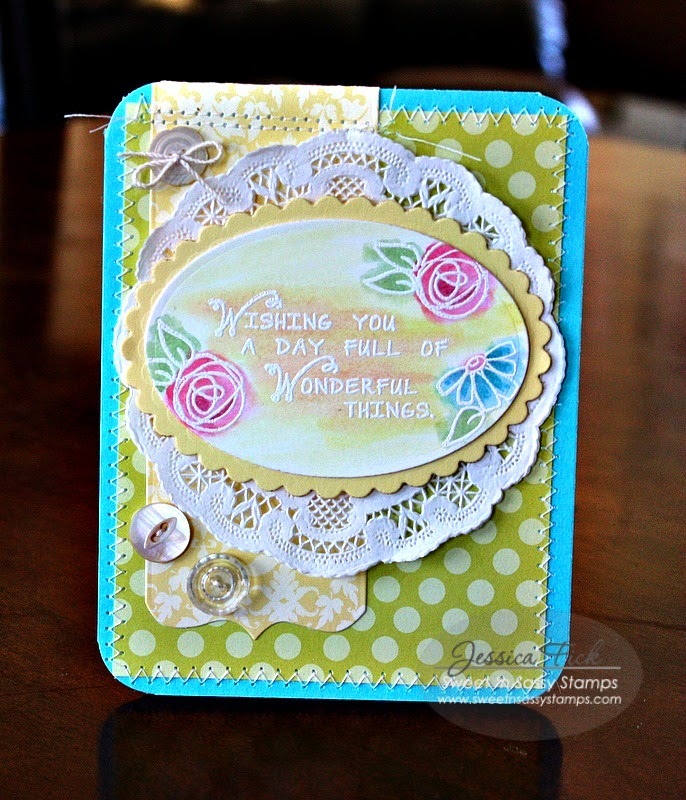 The designers from Sweet 'n Sassy Stamps are joining together to showcase the lovely Sunshine & Flowers stamp set. We are also issuing a challenge to create a card using at least 5 colors! Fun, right? 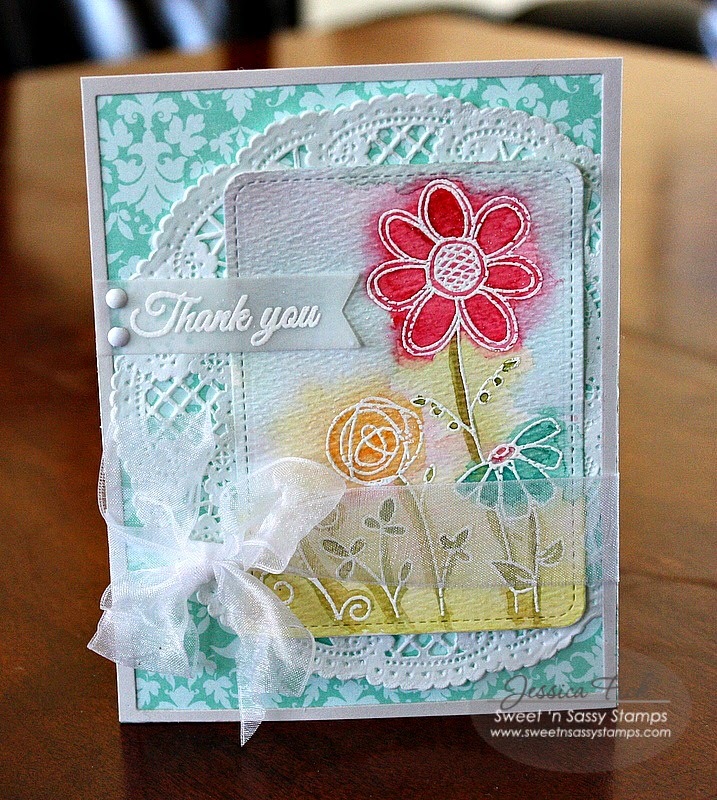 I stamped the large floral image (which I LOVE!) on a watercolor paper die cut and embossed with white embossing powder and watercolored the image in, being sure to go over the edges of the image to help the white embossing pop. I kept the rest of the card pretty simple and monochromatic so the focal image is center stage. My second card was done basically the same way. I stamped the smaller images in the set and the sentiment and embossed again with white embossing powder. This time the paper wasn't watercolor, so I was a bit more careful with the amount of water I added. Love all these colors together - they make me so happy! 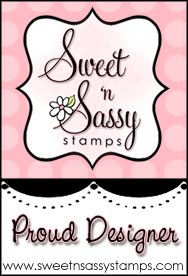 Check out the SNSS company blog for all the specific details on today's featured stamp set as well as the winner from last week's challenge. The designers have added their cards to the photo links below and we invite you to as well as you play along with our colorful challenge! Love the cards Jessica - you have inspired me to try water colouring again. Great use of color! Love that the cards have a lot of colors but don't look overwhelming. both cards are beautiful, Jessica! 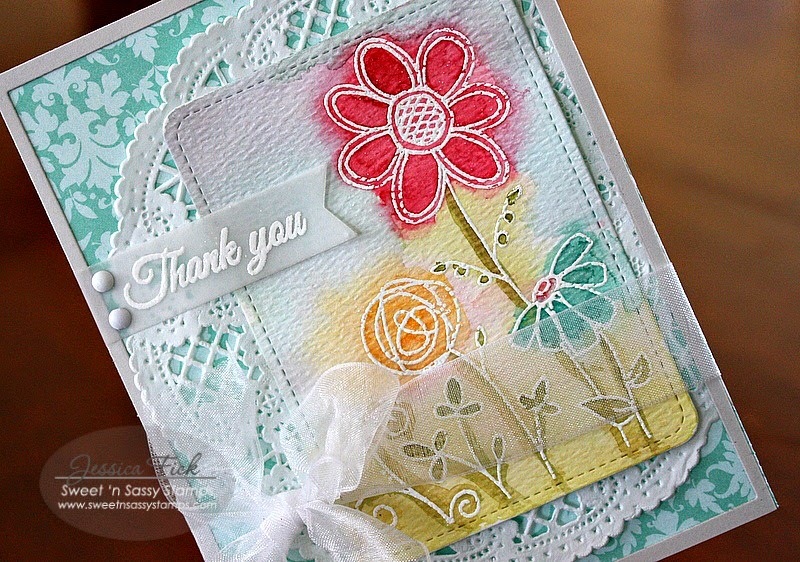 Beautiful water colored cards and I like the doilies. Sorry to hear about your basement. My stamping area is in the basement too.